Our team has successfully made it home from one of the year's best gun conventions, and it was a whirlwind. 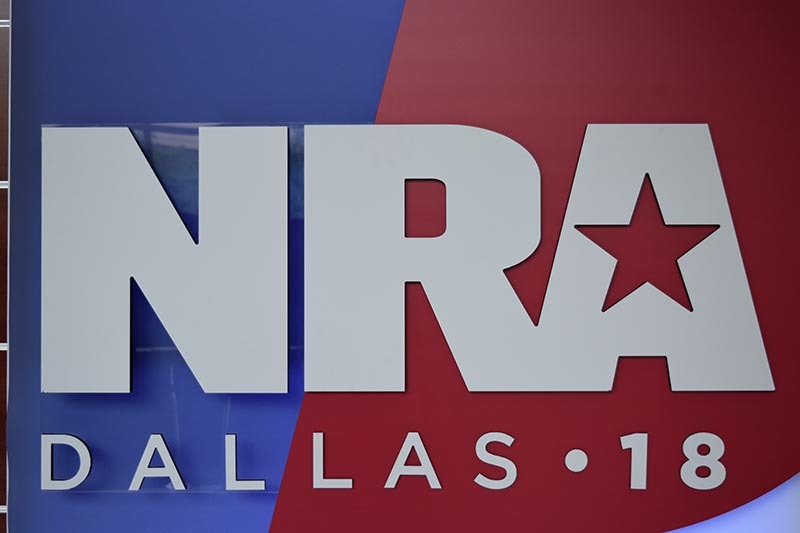 While not as big of a show as SHOT is, the NRA Annual Meetings is still a major show with lots of goodies to be seen, and even a few new product releases. The pedometer on my phone says I walked at least four miles each day, and it feels like it. One thing is absolutely certain … when traveling to these shows, decent shoes are a necessity. 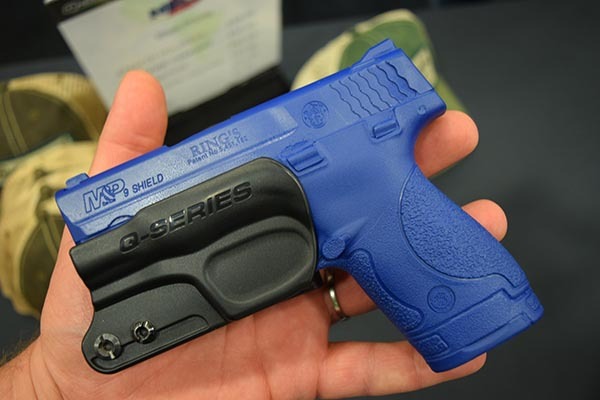 This isn't exactly a new product, but former Top Shot contestant, Gary Quesenberry was there with his Q-Series holster, and I thought how it came to be was pretty interesting. He told me that he came to settle on this design using pieces of plastic scraps he had laying around. He offered to send Matthew one to do a test on, so stay tuned for that. Here is one of those head scratchers I was telling you about a minute ago. 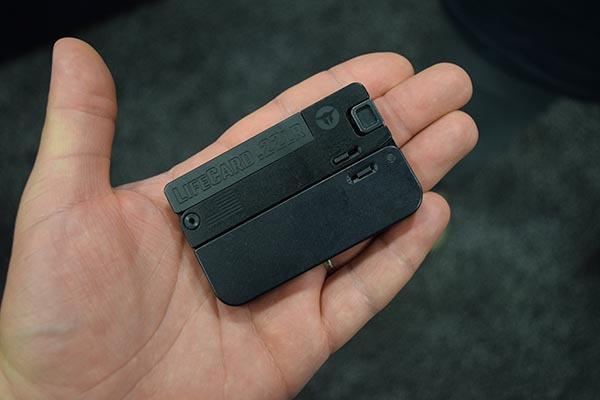 This thing is called a LifeCard, is about the size of a credit card, and fits into an Altoid mint can. Talk about Concealed Carry! 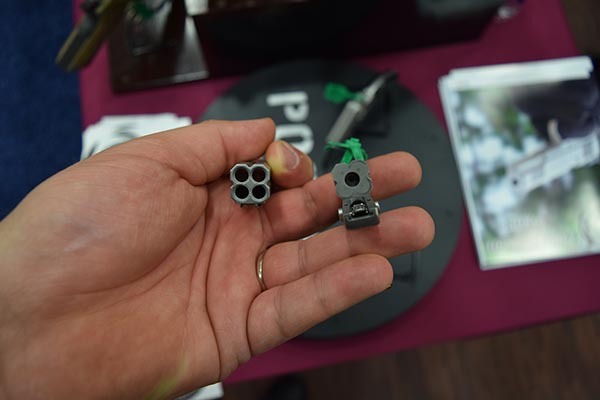 .22LR isn't the most potent round, but let's hope for a .22WMR in the near future and they may be onto something. 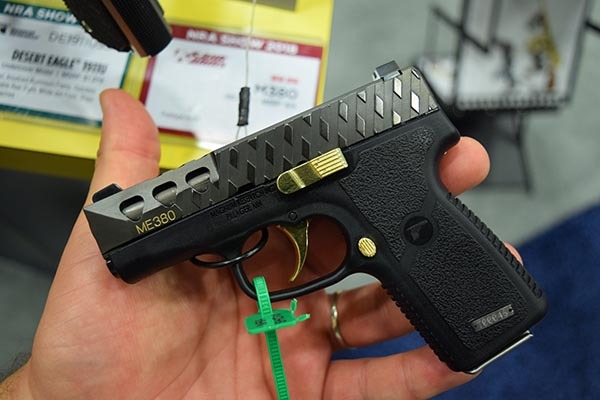 This is a fairly new release in the ammo world from NOVX Ammo. I'm going off my memory here, so don't kill me if I get these numbers wrong, but that 35 grain projectile from that .223 is screaming at, according to them, over 4,100 FPS, and I cannot remember the exact numbers on that 9mm, but it's 65 grain projectile is boogieing too. 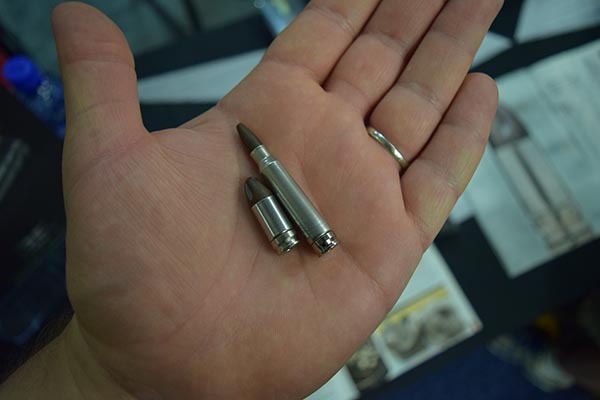 While the bullet technology being a copper/polymer composite has been done before, something I believe is new(er) are the stainless steel cases. I asked, and they're supposedly great for your firearm, and even better than brass. I cannot confirm nor deny this, but I'm hopeful. 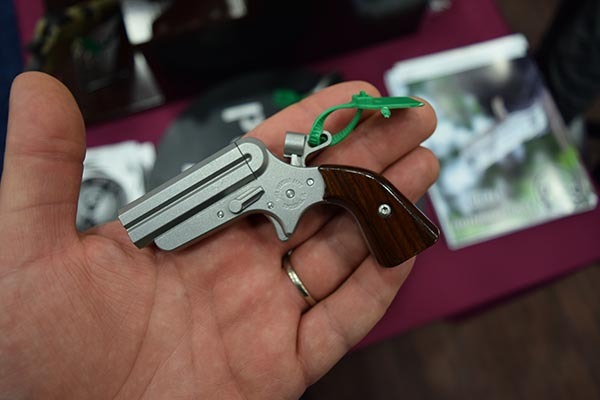 This little mico handgun is interesting in that it's a four-barrel pistol with a rotating hammer. I couldn't figure it out, so I took their words for it. This one is put out by Iver Johnson. Here is a different view, which I guess I'll call the action. I needed a good photo of a Desert Eagle and figured I'd share it with you. Every year there seems to be a theme with the gun manufacturers. One year AR-15s were the thing, another year was the year of the AK. 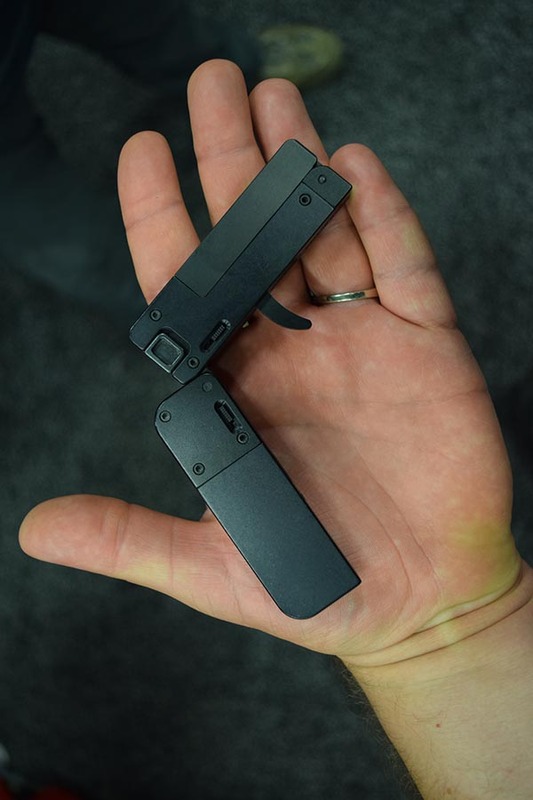 This time around, and I noticed this at SHOT Show too, it seems to be beautifully done up 1911s. 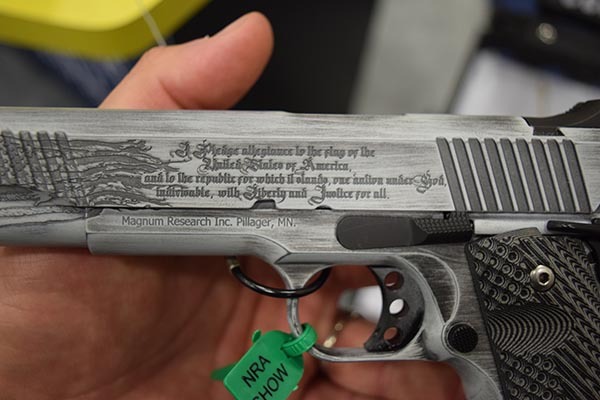 Here is one from Magnum Research, the owners of Kahr. They also had a Trump 1911, a Fly Girls one, and a few others. 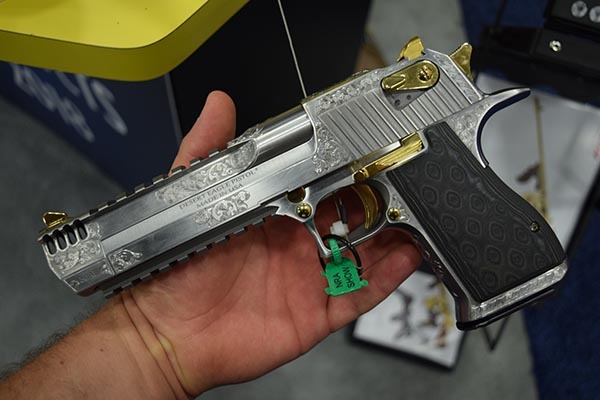 There were several companies out in attendance with 1911 patterned guns that were gorgeous. 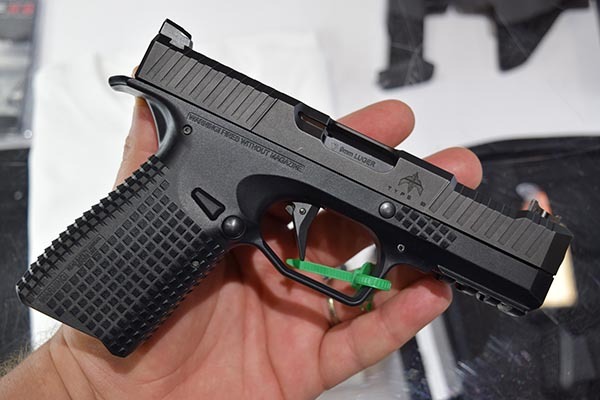 Here is a new little something from Kahr. Their .380 gun triggers remain, to me, as some of the best ever for that size gun. The Type B from Archon Firearms. I'm told that they're getting closer and that the pistol is where they want it to be, but they have some marketing things to work out. I'm pretty stoked about this pistol and I hope to be able to bring you a review. I'm on the list. This was a good move on Beretta's part. 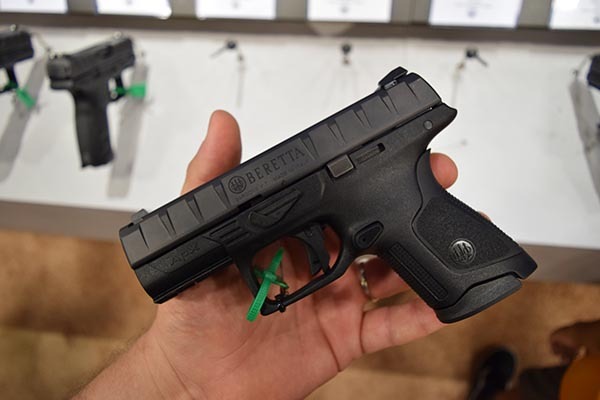 They seem to be offering a full line of APX pistols, and I'm still stoked to do a review on one for you in the near future. I'm starting to wonder if I'll be forced to buy one, or if Beretta will actually send me a model to test like they said they would. Time will tell. 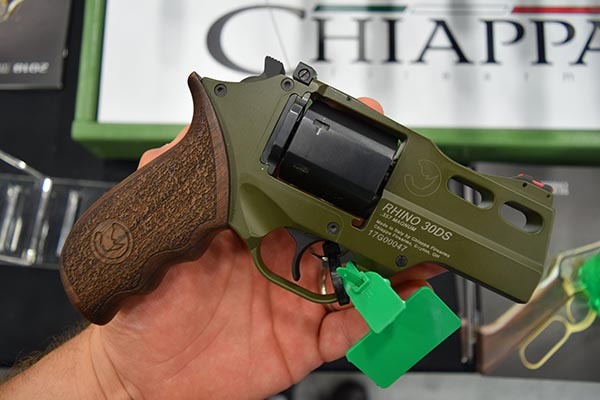 The Rhino isn't really anything new, but, believe it or not, I've never gotten my hands on one before. So, this was a first for me, and that color is outstanding. You should have seen me trying to stick the barrel back onto the peg like the muzzle was on top like a regular revolver. I know better than that! It's what makes it different. Hey, I'm only human. 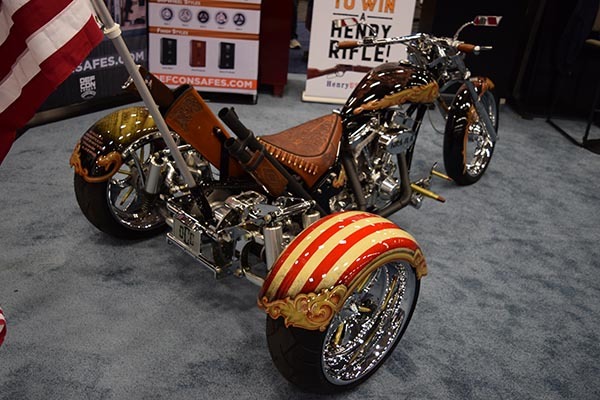 Finally, we'll close out with a shot of the NRA Trike. It's been around for a while, but I needed another, and better, picture of it for my own purposes, so I figured I'd show it to you, as well. Did you have a chance to listen to any of the Concealed Carry Podcasts while we were down there? If not, be sure to check them out, here.